While a generation prepares for an impending climate catastrophe, our nation’s billionaires are profiting from its advancement. Severe droughts have parched countries across the globe. Meanwhile, tech giants in Silicon Valley are allowed to leverage new technologies that aid oil extraction procedures, hiding behind a veneer of philanthropy but reaping as much profit as possible while directly contributing to ecological collapse. Amazon — the company founded by richest man in the world, Jeff Bezos, and regularly under scrutiny for its horrible working conditions and low wages — is now literally an oil company, selling synthetic motor oil in competition with Valvoline. Amazon web services (AWS), which provides AI, machine learning, and cloud computing tools to businesses, has a dedicated Oil & Gas division. Its clients include BP, Royal Dutch Shell, and Hess, and Amazon has enlisted a number of partners for support, including Landmark, a subsidiary of Halliburton. Google Cloud now has a partnership with Houston oil investment bank Tudor, Pickering, Holt, & Co., which is having trouble competing against electric vehicles and renewable energy; deals with Anadarko Petroleum, one of the largest US oil and gas exploration and production companies, and with Schlumberger and Baker Hughes, which both beat Halliburton as the world’s first and second largest oilfield service companies, respectively; and has entered talks to build a tech hub and data centers for Aramco. The motives for such business endeavors are, of course, maximizing profit. 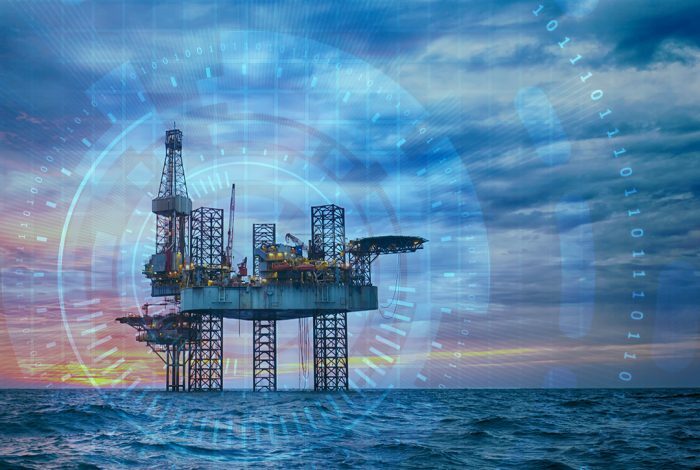 One needs to look no further than the recent creation of Sensia — a joint effort by Rockwell Automation, the world’s largest company devoted to industrial automation, and Schlumberger. Sensia will be, according to a press release, “the first fully integrated digital oilfield automation solutions provider.” The company will help optimize drilling and extraction procedures by using technology that automates drilling schedules and diagnoses of machinery problems, and assess data to improve its operations. These advancements also allow the company to automate jobs and lay off workers. Increased efficiency and fewer workers means an increase in profit. Tech giants use their software to stake their own claim in this, effectively expanding their own markets and increasing their own profits — letting possibilities for a greener future fall to the wayside as they are less profitable endeavors, even if they do stir up the most consumer support. This is why a new report — written by Finland-based independent research institute Bios, and commissioned by the UN as part of its 2019 Global Sustainable Development Report — concludes that our current economic model cannot coexist with climate saving measures. The capitalist answer to this is philanthropy, a faith that wealthy individuals will use their money in support of the common good. This has proven futile. 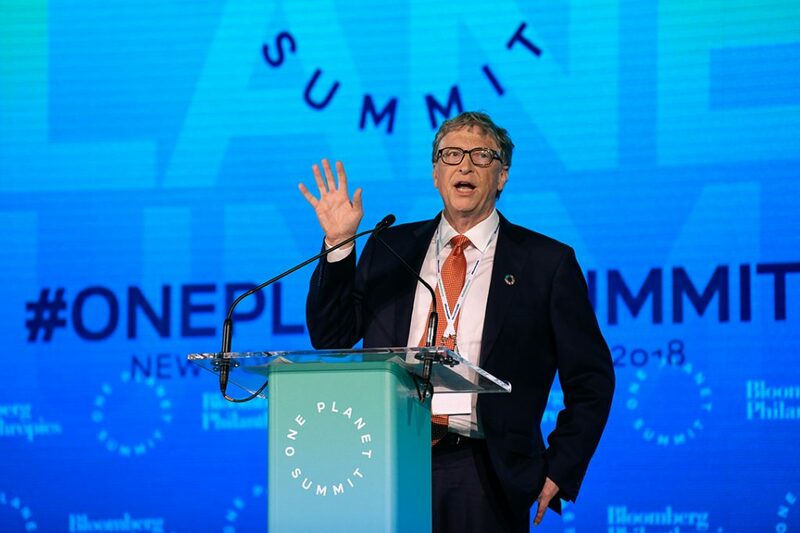 Gates’s company has also sold software to Shell and helped BP build an AI tool for use on its oil reserves, and its data services are used by Exxon subsidiary XTO. In 2017, it signed a seven-year deal with Chevron. And earlier this year, Microsoft, Google, and Facebook co-sponsored LibertyCon. The event included a session hosted by Caleb Rossiter, a member of the nonprofit CO2 Coalition, which advocates for increased carbon dioxide emissions, and questions the validity of climate change science. The study’s authors at Bios agree. “It is not in line with the principles of democracy that (rich) individuals have such a strong say in what kind of activity is supported and what not,” they said. Related front page panorama photo credit: Adapted by WhoWhatWhy from Studderic-2632244 / Pixabay, Google / Wikimedia, Amazon / Wikimedia, and Microsoft / Wikimedia.